The magic power of pomegranate juice to keep you fresh throughout the day. Pomegranate juice is really drink with magical powers. Pomegranate has exceptional healing properties concentrated in the divine juice. Suffice it to say that a single glass of juice can be considered a real bomb of beta-carotene (a precursor of vitamin A), vitamin C and antioxidants. The red elixir act preventively against atherosclerosis! It is also ideal for all women having fertility problems as pomegranate contain folic acid, which is essential to prevent serious fetal disorders. It is also useful for those suffering from osteoporosis due to its high content of minerals. Institute in South Carolina comes further evidence that this juice is a valuable ally in the fight against cancer because it contains ellagic acid, which protects the DNA of our cells. 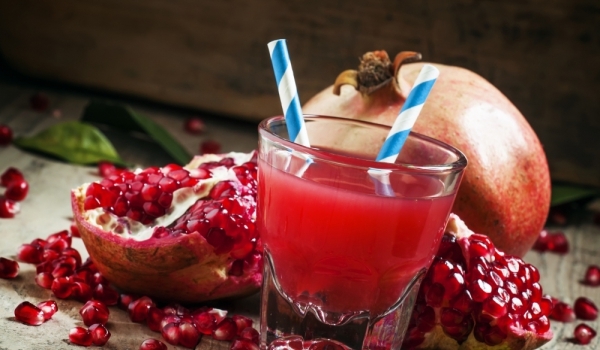 The preparation of pomegranate juice at home is very simple! The fastest way is the pomegranate peel off as a normal orange, then cut it in half. It is preferable to use metal juice extractor because this result is more difficult to handle and more compact than citrus. Know that to get 1 liter of juice, you need about 15 fruit. If you have more time, carefully wash the rind of pomegranate, carefully remove the white part because it is very bitter. 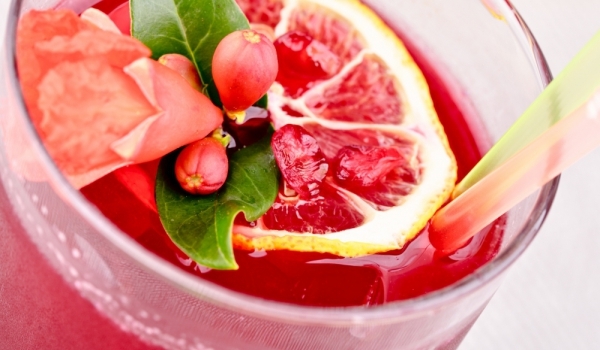 lemon juice – ¼ cup fresh, pomegranate juice – 1 cup Fresh water – 2.5 cups sugar – 3 tablespoons ice – crushed. Preparation – Mix the sugar with the lemon juice and stir until the sugar is completely dissolved. Pour lemon mixture to pomegranate juice, stir and add water and ice. Pour into glasses and serve immediately.